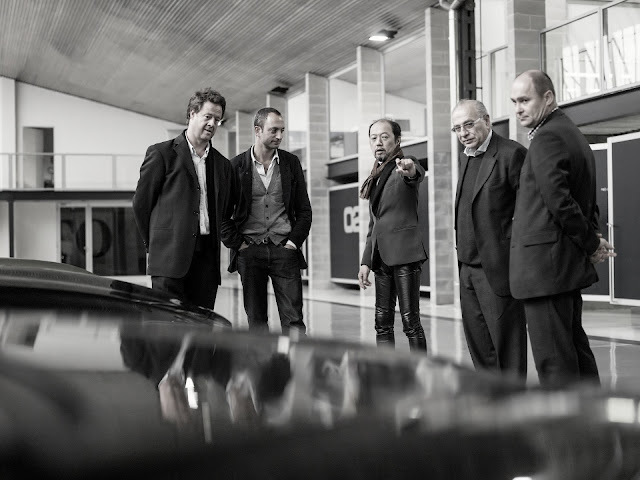 The Concorso d’Eleganza Villa d’Este will once again host a spectacular world premiere in 2012 and, in so doing, build on its tradition as a gathering of the industry’s leading coachbuilders. The premiere in question will see the time-honoured Milanese coachbuilder Zagato team up with BMW to unveil the result of a unique collaboration: the BMW Zagato Coupé. 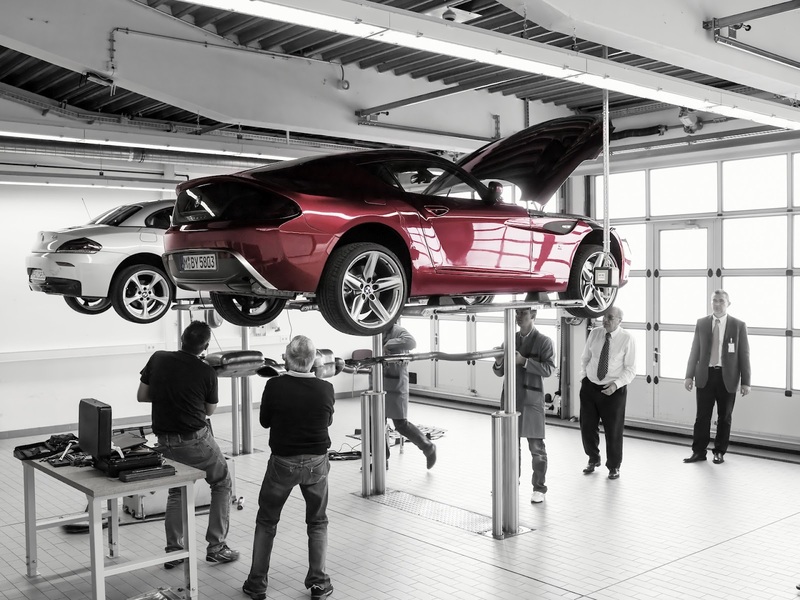 Zagato has worked in close collaboration to create an exciting and emotionally charged coupé in the finest tradition of automotive workmanship. 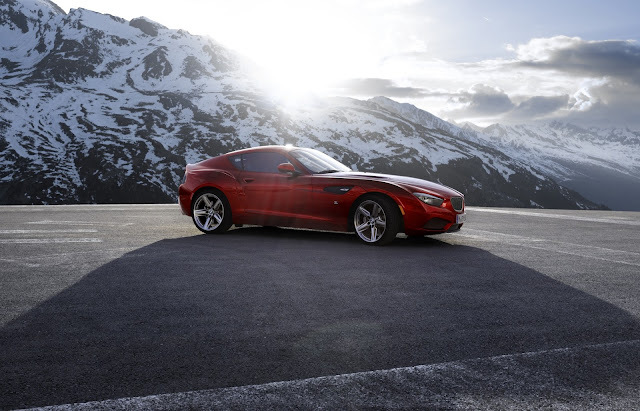 The BMW Zagato Coupé embodies the unbridled fascination of cars and fuses the design DNA of the two companies into a fresh and desinctive whole. This one-off model is the product of many hours of skilled hand-craftsmanship and breathes new life into the tradition of coachbuilding. It is hard to think of a better occasion for the premiere than the Concorso d‘Eleganza Villa d’Este, one of the most exclusive events in the world of classic cars and motorcycles. The vehicles shown on the banks of Lake Como are hand-picked, the number of entrants limited and the surroundings simply without comparison. The Concorso began as a get-together of coachbuilders presenting one-off hand-built creations, and the BMW Zagato Coupé follows very much in that tradition. The two partners settled on a realistic and applied approach to the development of the BMW Zagato Coupé. “Zagato has always provided its customers with ready-to-drive cars which can be sent into action on the road or race track without further ado – and the BMW Zagato Coupé fits the same template,” says Dr Andrea Zagato, who represents the third generation of his family to sit at the helm of the company. To this end, the car is registered for road use and meets all the legal requirements worldwide. “It is relatively easy to build a design study which is not intended for use on the road. Not having to meet any stipulations governing crash safety or pedestrian protection opens up a host of new avenues in terms of design,” he adds. “The challenge lies in injecting the emotional appeal of a concept car into a road-legal machine. 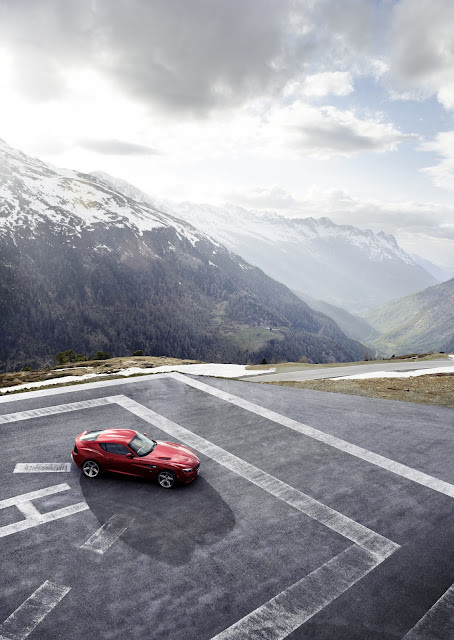 And we think we have succeeded in doing just that with the BMW Zagato Coupé.” Indeed, the new creation has already cut a “bella figura” at high speeds during testing on the BMW test track. Both partners can look back on a rich heritage, sharing as they do a passion for cars that stretches back over 80 years. 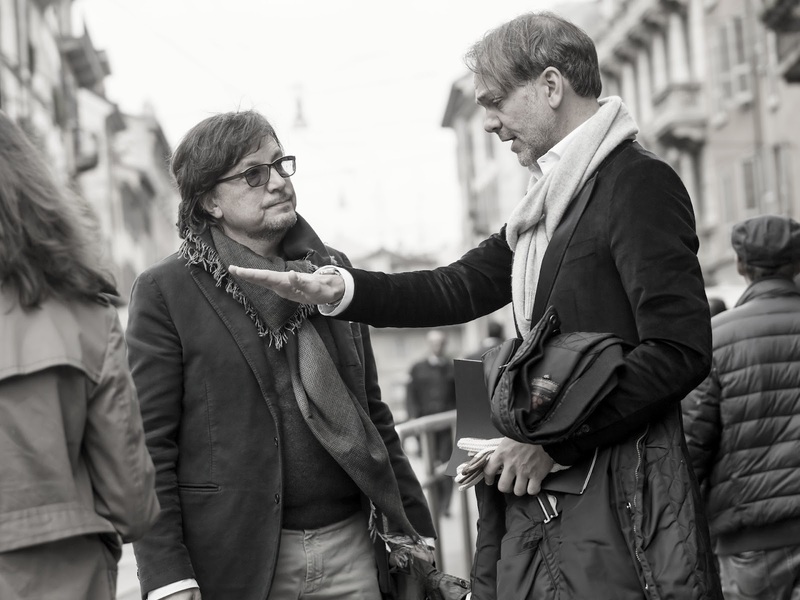 Added to which, Adrian van Hooydonk, Senior Vice-President BMW Group Design, and Andrea Zagato are long-time appreciators of each other’s work; indeed, Zagato took home the prestigious Concorso d’Eleganza Design Award in both 2010 and 2011. However, this collaboration is about more than mutual respect. Zagato chief designer Norihiko Harada and van Hooydonk have been friends for many years, so when Andrea Zagato proposed a collaboration, it wasn’t long before the decision was made to build a car at Zagato that embodies the two companies’ passion for cars. 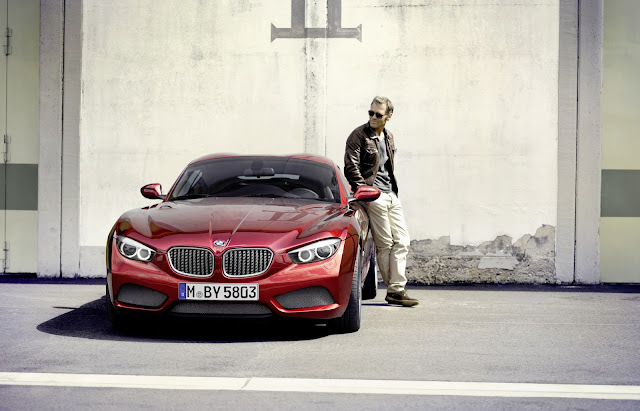 BMW and the Italian design. After sawing in 1939 the creation of the first BMWs sporting tailor made Italian metalwork, a coupé based on the BMW 328 for the upcoming race season and specifically for the Mille Miglia (where it triumphed in 1940), BMW was back to Milan in 1954 to buy from Renzo Rivolta, founder of ISO, drawings, license and tooling necessary for the production of the legendary Isetta. 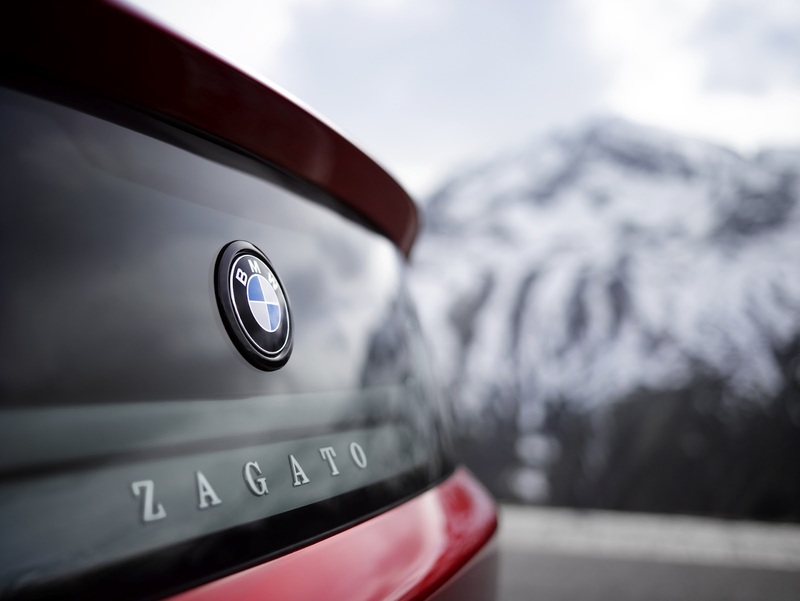 The design – a BMW seen through the eyes of Zagato. 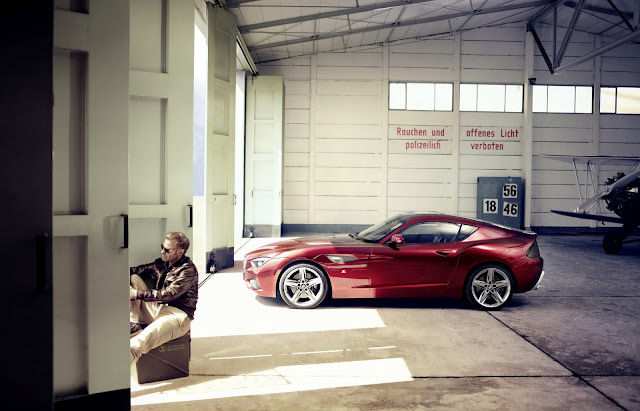 The BMW Zagato Coupé is a collaboration between auto enthusiasts – a BMW seen through the eyes of Zagato. 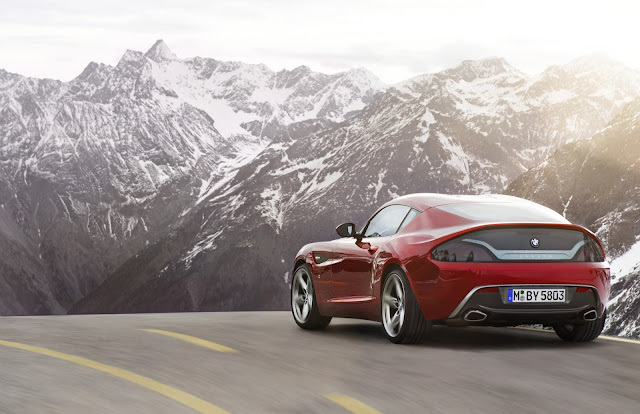 This comes through in the design of the car, hallmark design cues from both companies merging to form an emotion-laden coupé in the best Zagato tradition. 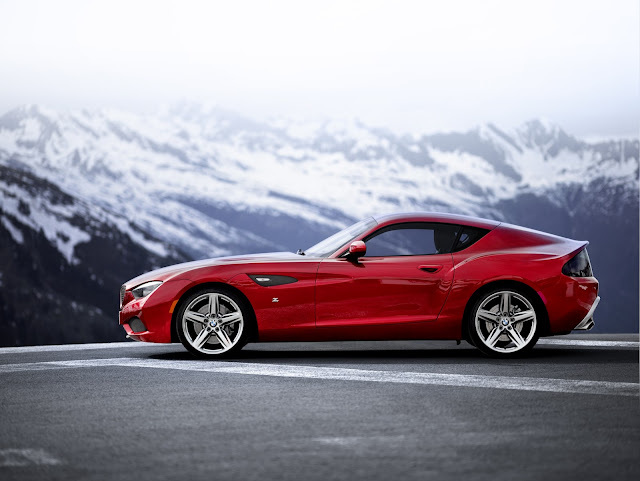 The brief for the car was clear from the outset: the BMW Zagato Coupé was to be a “Vmax concept”, a road-registered, aerodynamically optimised machine capable of achieving high speeds yet at the same time meeting all legal requirements and crash-related stipulations – a car that is ready and eager to be driven. 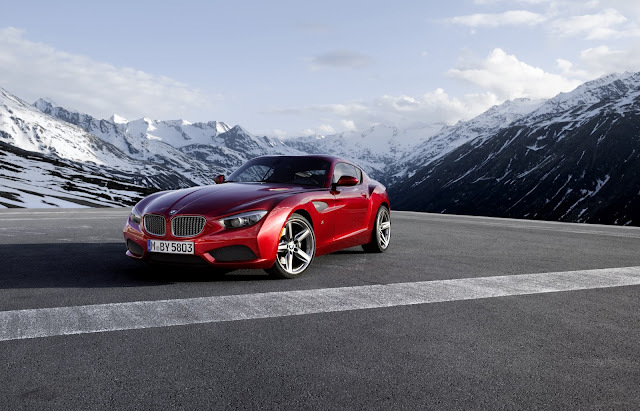 The proportions of the BMW Zagato Coupé alone exude the promise of a very special driving experience. The extremely long bonnet, greenhouse set well back and double bubble roof and Kamm Tail sum up the dynamic focus of the car as only a coupé could. The flowing roofline melts away into the compact, muscular rear, where the car’s power is transferred to the road. This sculptural and visually striking surface treatment is a Zagato hallmark and lends the BMW Zagato Coupé a distinctive and instantly recognisable personality. The surface treatment, on the other hand, is clearly inspired by BMW. The car’s dynamic silhouette sees precise lines forging a path over taut surfaces towards the rear. Surfaces moulded with eye-catching depth underline the sporting statement of the BMW Zagato Coupé. 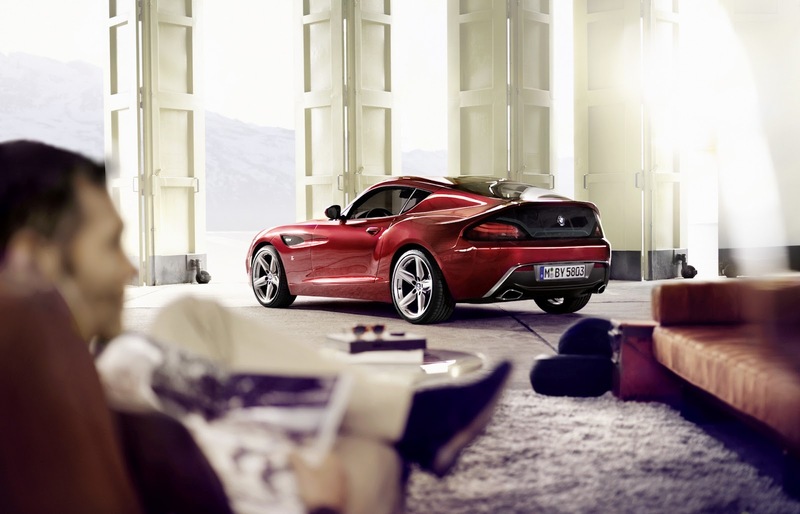 “For me, the BMW Zagato Coupé holds a very special magic. 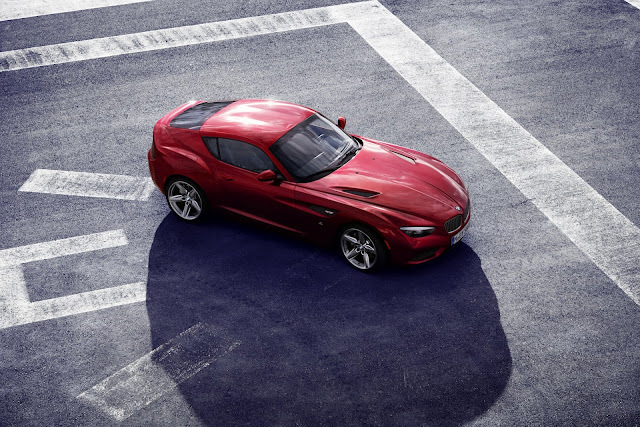 It exudes a certain spontaneity which, when combined with the type of unconventional solutions typical of Zagato, lend the car a very individual elegance,” says Zagato chief designer Norihiko Harada. The BMW Zagato Coupé is extremely three-dimensional, very wide and powerfully contoured at the front. The dynamically forward-surging front end dips down prominently towards the road and gives the car an agile sense of purpose, as if in mid-leap. A stunning interpretation of the classic BMW face – with its twin circular headlights, kidney-shaped radiator grille and BMW logo – marks the BMW Zagato Coupé out as a BMW without the need for a second glance. These extremely low, width-emphasising elements lend the front end an undeniably sporty appearance. The contoured bonnet builds on this dynamic flair with its sweeping lines and taut surfaces. A pair of air intakes integrated into the bonnet send extra supplies of air into the engine compartment and highlight the presence of the high-performance engine beneath. The contours of the bonnet are picked up by the double-bubble roof as the lines of the body continue on to the rear of the car. These two domes built into the structure of the roof are a signature feature of Zagato design and reduce the front area. 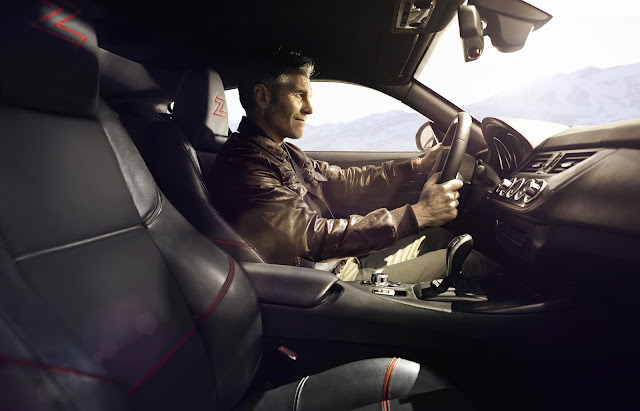 As well as providing greater headroom when wearing a helmet on the track, the double bubble (“doppia gobba”) roof also enhances the car’s aerodynamics and increases the roof’s torsional rigidity. The roof of almost every Zagato features this design. Looking further down below the bonnet, the headlights of the BMW Zagato Coupé focus purposefully on the road ahead, and accentuate the car’s driver-oriented character and high-speed potential. Low down between the headlights is Zagato’s take on the BMW radiator grille, with matt kidney frames inspired by Buckmister Fuller geodetic structures A stand-out detail here is the use of countless small matt Zagato “z” letters to make up the kidney grille. Viewed from the front, the “z” letters appear to be floating within the kidneys. Close-up, it is clear that they are set against a collection of other dark-coloured “z”s positioned into octagons. Gleaming chrome “z”s are used only on the visible side of the octagons. This arrangement injects added depth into the kidney grating and gives the front end an extra touch of class. The design of the front apron steers the eye to the wheels and the car’s broad stance. Large air intakes add low-set finishing touches to the car’s nose, their dynamic form and size hinting at the power of the engine under the bonnet. 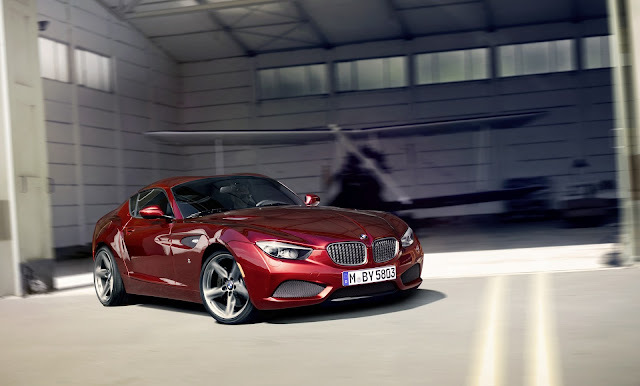 From the side, the BMW Zagato Coupé displays the pared down, clearly defined distribution of visual mass for which Zagato is renowned, blended with the familiar surface treatment and design language of a BMW. Its coupé design also necessitated a new roofline, which highlights the car’s potential with impressive fluidity and dynamic élan. The long, sweeping bonnet sends the greenhouse a long way back towards the rear and the car’s visual focus is therefore also pulled rearwards, in traditional Zagato 2 seater style. 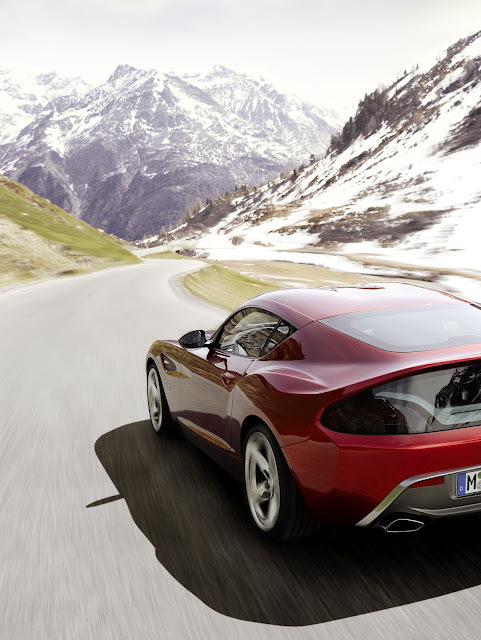 The rear end itself is cut almost vertically in another Zagato cue, which enhances aerodynamics. The flanks, meanwhile, adopt the classical BMW Roadster lines, imbues them with extra tautness and extends them into the muscular rear end with a compelling swing of the hips. The attractive interplay of lines here draws attention to the rear wheels and the car’s rear-wheel-drive configuration. The powerful flourish above the rear wheels is picked up and passed on by the spoiler, injecting the whole area with additional dynamic impetus. The side air vents reference the form of the bonnet intakes and extend their dynamic agenda to the car’s flanks. 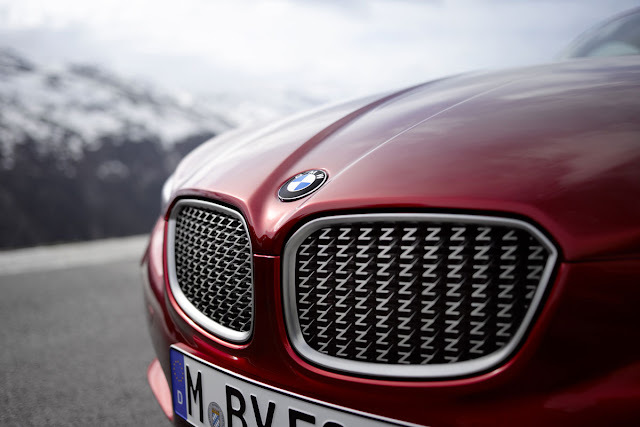 Below the side vents, the silver “z” provides another nod to the cooperation between BMW and Zagato. Slightly offset behind the silver “z”, a matching indentation provides greater depth and three-dimensionality. 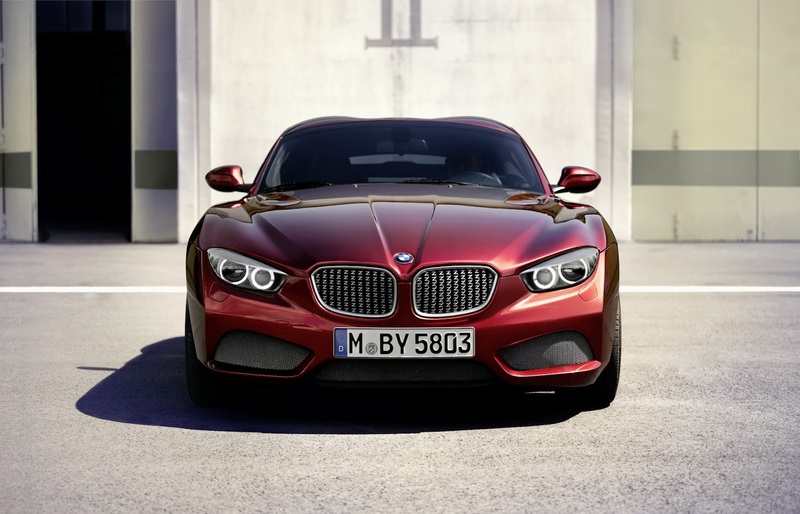 The two “z”s in the air intakes and BMW badges are the only gleaming chrome elements on the BMW Zagato Coupé. Another characteristic Zagato design theme is the specially designed “criss-cross” transition from the side windows into the rear window. The lower section of the side window surrounds slants dramatically upwards just ahead of the rear end and extends to form the upper border of the rear window. In so doing, this hallmark design element links the sides and rear via the C-pillar and ensures a harmonious connection between the different sections of the car. 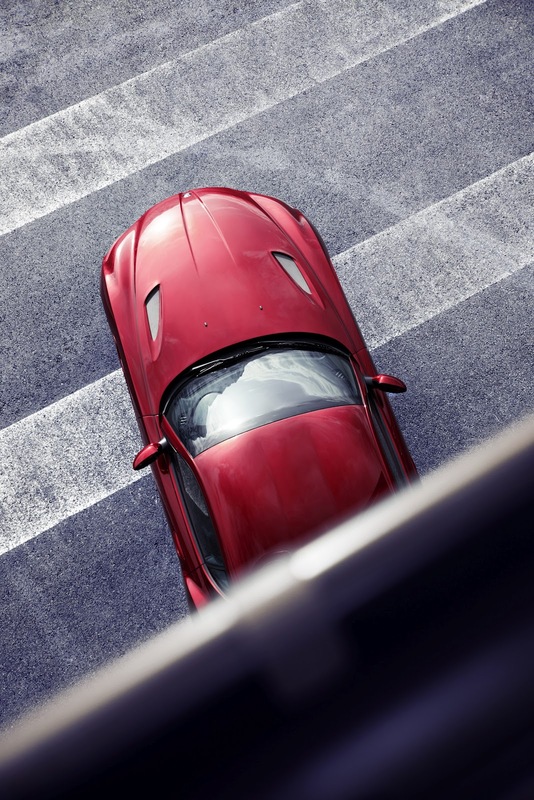 This aspect of the BMW Zagato Coupé design is particularly striking when viewed from above. Both BMW and Zagato are famous for getting the same inspiration from Professor Kamm’s studies on aerodynamic rear end. The 1940 BMW 328 Kamm Coupé as well as the Alfa SZ and TZ boosted a typical Kamm-tail (K-tail) layout. This solution became famous in Italy with the name “Coda Tronca” bodies which were tested by Zagato in the beginning of the 60s. Kamm Effect is part of the functional design approach that aims to the aerodynamic efficiency. According to this, the CX can be lowered by keeping compact volumes at the same time. The reduction of the wind resistance is assured with the Kamm Tail design, without any need of a very stretched “drop” shape of the tail. 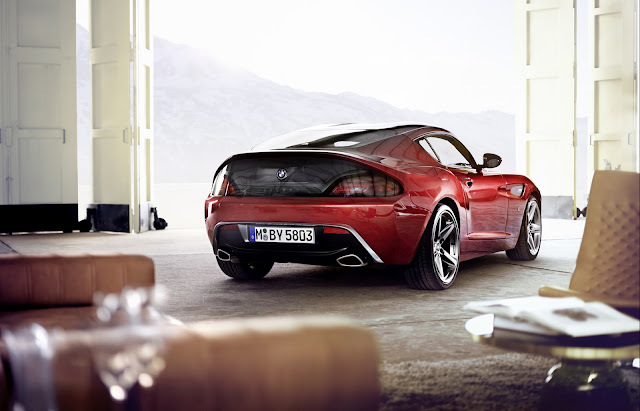 BMW Zagato Coupé doesn’t need the support of any fix or mobile rear wing since the aerodynamic of its tail is already very efficient. The distinctive rear end provides the clearest evidence of Zagato’s influence. 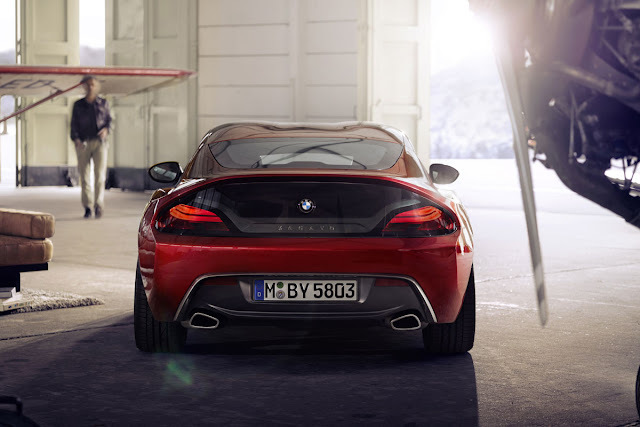 Formed almost without a single joint, the rear end cuts a classy figure, appearing as if formed from a single mould. 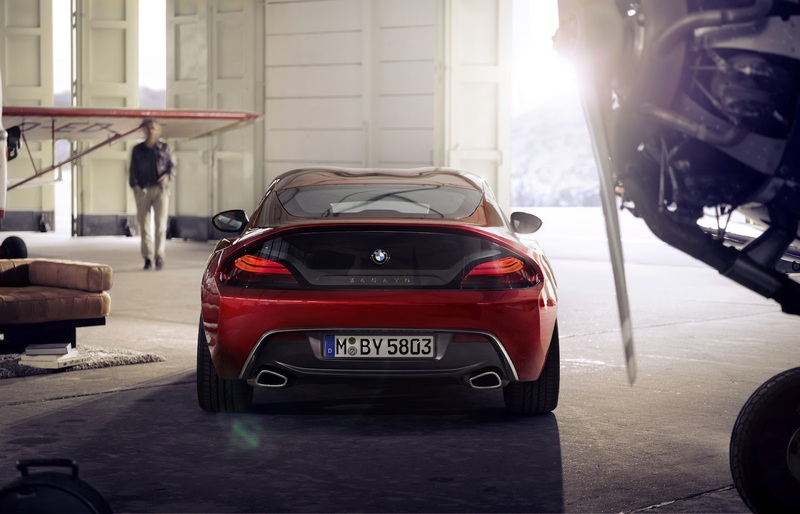 Nothing interrupts the flow of surfaces and the powerful sculpture of the rear. At the same time, this also provides evidence of the high degree of hand-craftsmanship involved in making the car and Zagato’s experience in the manipulation of surfaces and forms, channelled into the car’s design at the company’s studio. 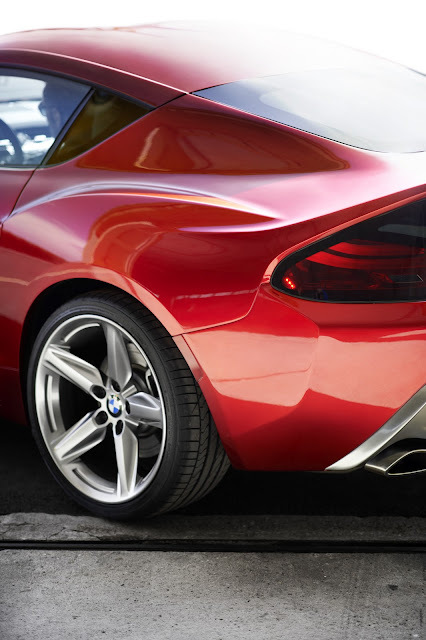 Taken as a whole, the rear of the BMW Zagato Coupé has a very broad, low-slung appearance, its powerful, solid form and purposeful design language giving the car a planted stance on the road. The most distinctive feature of the rear end is the transparent panel in its upper section familiar from other Zagato creations. Divided visually into three sections, the generous glass surfaces open up a line of sight to the lights and into the interior. 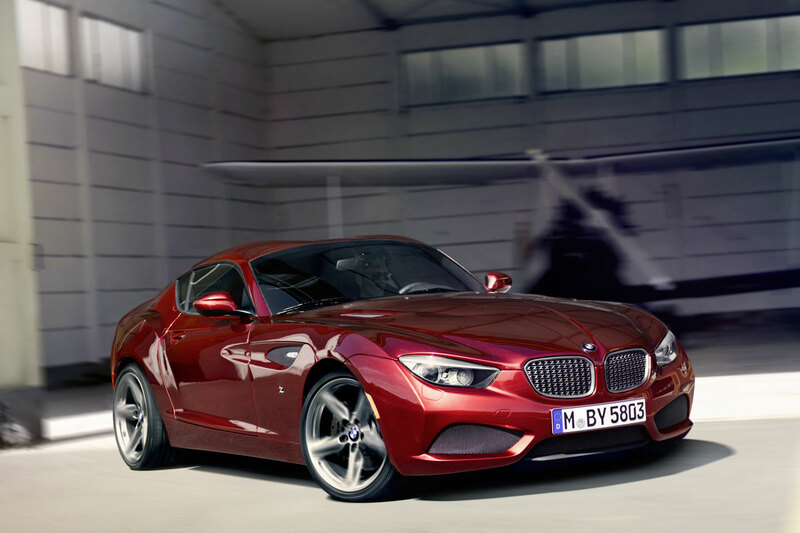 Their dark tint gives the BMW Zagato Coupé an even sportier look. 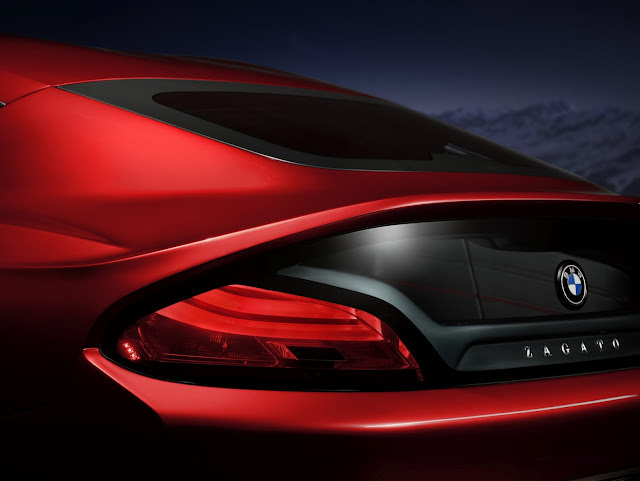 A curved bar featuring the Zagato trademark splits the surface into sections and gives the car a greater impression of width. The likewise tinted rear window can be opened, offering access to the rear luggage compartment. A prominent rear bumper feeds downwards into a large diffuser. The diffuser extends well out to the sides, providing an effective contrast to the bar dividing the glass and lending the rear an extremely broad and sporty presence in the process. Matt edging accentuates the form of the diffuser, draws the focus to the wheels and underlines the planted stance of the BMW Zagato Coupé. The exhaust tailpipes, positioned towards the outer edges of the rear, add further emphasis, their matt finish contributing another stylish flourish to the rear. 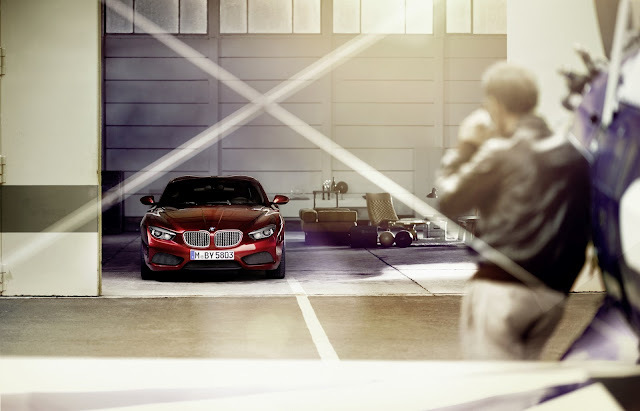 The unique character of the BMW Zagato Coupé is reflected in even smaller details. The 19-inch light-alloy wheels in classically sporty five-spoke design have a hint of propeller about them, offering a subtle nod to the origins of both companies. 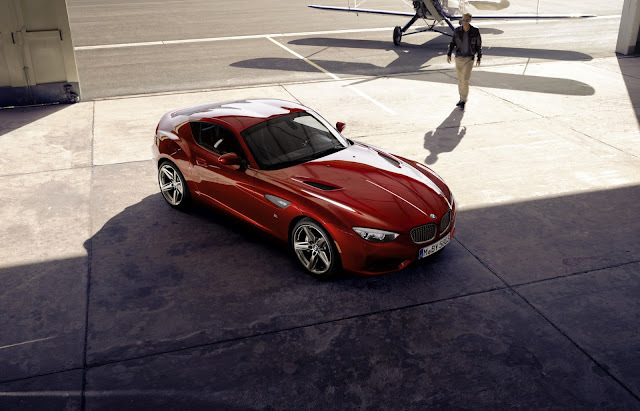 Indeed, both BMW and Zagato founder Ugo Zagato took an airborne route into automotive construction. Their subtly attractive matt finish lends the car extra allure from the side. 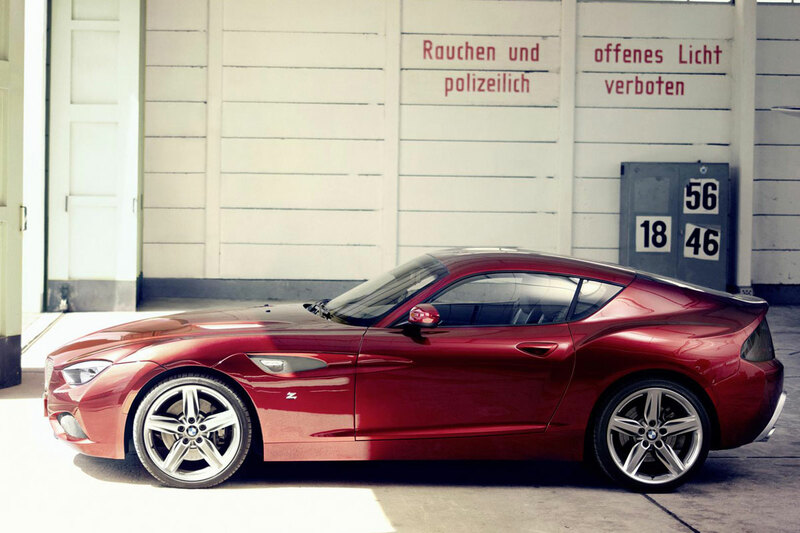 A very special highlight of the BMW Zagato Coupé is its paintwork. The exclusive exterior paint finish Rosso Vivace – an expressive shade of red – brings the surfaces and forms of the BMW Zagato Coupé to life. Depending on how the light hits the body, the colour spectrum ranges from something close to black all the way to a brilliant red. This remarkable depth and radiance is possible thanks to sophisticated paint application technology. The primer coat – made up of a black application, followed by a layer of shimmering metallic silver – is applied first. Then come six ultra-thin coats of the exclusively developed red shade to deliver this unique effect. Finally, two layers of clear coat seal in the colour. Exquisite touches in the interior. 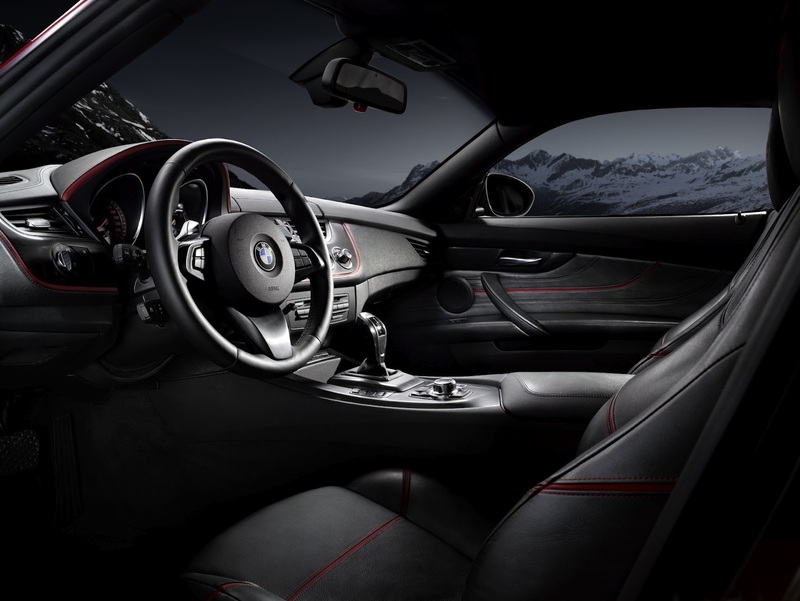 The interior is clearly structured, in customary BMW style, and invites the keen driver to take the helm. This character was picked up by the Zagato designers and given further emphasis by an exclusive colour and materials concept. Exquisite materials and high-quality details provide an extremely stylish showcase for the interior’s sporting flair and driver focus. Additional elements fitted by hand, such as horizontal lines in the instrument panel and doors, heighten the interior’s sense of sporting elegance. The lines culminate in a dynamic upward curve for extra sporting effect. 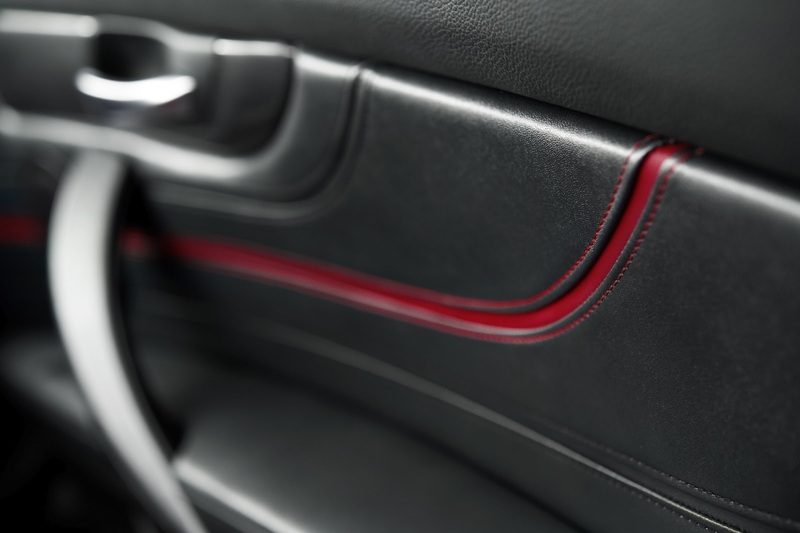 The base colours for the exclusive leather trim are a light and dark shade of grey. Together, they underline the horizontal geometry of the interior, while red decorative stitching in the instrument panel, doors and seats brings the colour of the body into the interior and adds extra sporting touches. 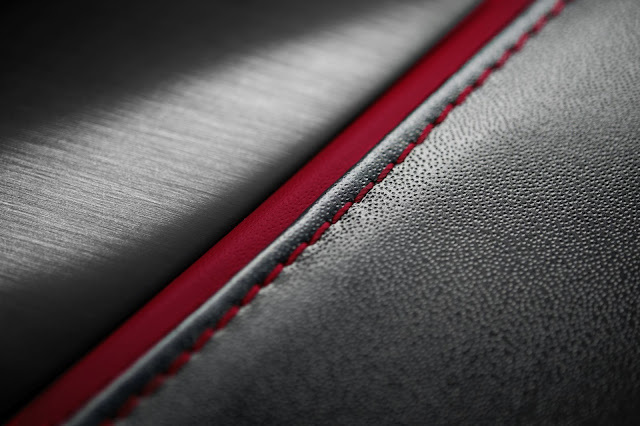 A “z” embroidered into the seats is the clearest reference in the interior to the origins of the BMW Zagato Coupé. The “horizontal line” design theme has also found its way into the luggage compartment, as have the two shades of grey and the red accents. Here, the lines are a subtle reference to the form of the double-bubble roof. Two exclusive accessories – a hat bag and a travel bag – set the seal on Zagato’s colour and materials upgrade. The travel bag also recreates the form of the double-bubble roof and is designed to maintain its bulbous lines even when empty. 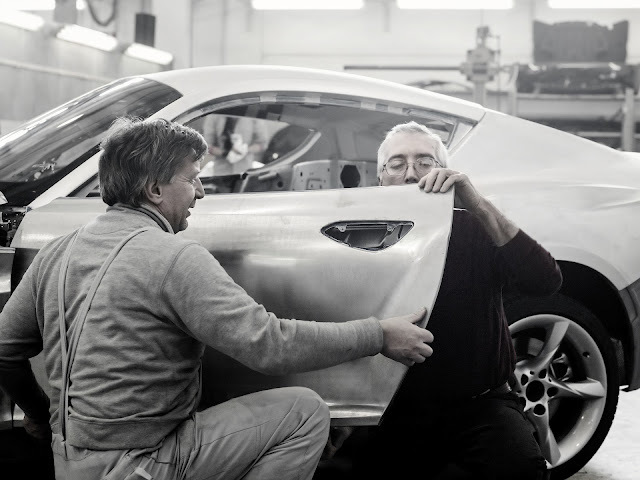 Zagato – a coachbuilder with a long tradition. 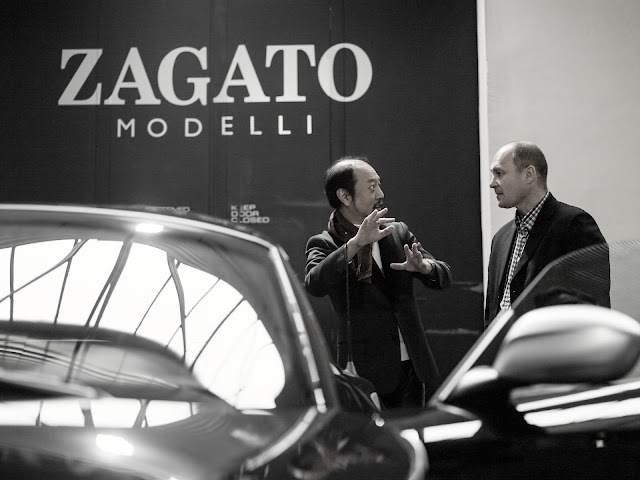 Founded by Ugo Zagato in 1919, today Zagato is the only automotive body manufacturer still in independent ownership. From its earliest days, Zagato has taken a minimalist and pared-down approach to its creations, very much in keeping with the Milanese tradition of design. Volumes takes precedence over details, thanks in part to technical considerations. Body designer Ugo Zagato learned his trade in – among other industries – aviation, where aerodynamics and lightweight construction play a central role. Zagato duly applied these principles rigorously in the construction of cars and soon celebrated a rash of race victories as a body construction partner to Alfa Romeo. The “necessary beauty” of aerodynamics and lightweight construction came to represent a maxim of design, one that has defined the form of every Zagato since. The narrow focus on coupés, two-door driving machines stripped back to their essential components, also became a Zagato tradition, underpinning an “unspoilt” driving experience. 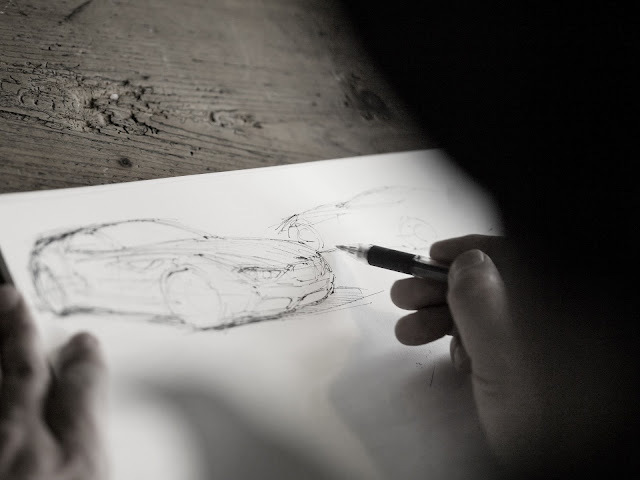 Today, with Andrea Zagato becoming the third generation of his family to take his seat at the helm, the company describes itself as a design studio combining the emotion and hand-craftsmanship of body construction with the precision of state-of-the-art technology. Zagato follows coachbuilding tradition in developing only the shell of the car and leaving the mechanics of the machine untouched. And it does so not by taking over the design process for large carmakers, but by working in tandem with the relevant design teams. More than 200 Vmax concepts, special editions and micro-series have been created in this way down the years and find appreciation among connoisseurs and collectors the world over. Indeed, all Zagatos are coveted collector’s items today and worth many times what their original owners paid for them.